A dense Casuarina forest line the beach here. A decent beach, but sea grass grows close to the shore along much of the coast. Access can be difficult. Although still a beautiful beach, seaweed often thickly covers the shore here. Found on the remote eastern side of Middle Caicos, Wild Cow Run is a 3 miles (4.8 kilometres) beach that’s lined with Casuarina trees. 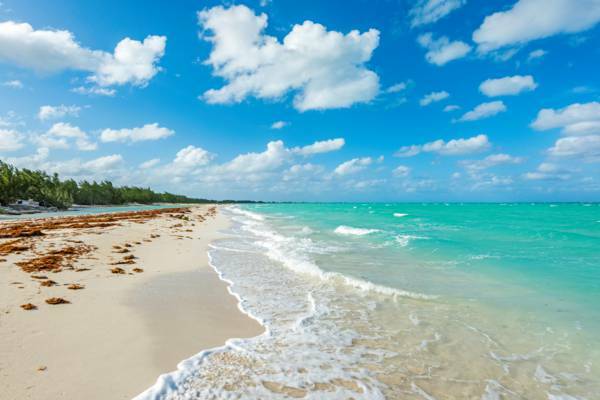 The ocean water and sand conditions vary from rather poor on the far western side near Haulover Point, to incredible on the far eastern side near Cedar Point. The western end of the beach isn’t great for swimming due to thigh levels of seaweed and shoals, yet it’s worth the visit due to the stellar views from the adjacent bluffs and of the interesting sea creature and fish in the water below the cliffs. The entirety of the coast is an excellent location for flotsam beachcombing. Wild Cow Run is edged on its northwest end by Haulover Point, and on its southeast by Cedar Point. Due to the wind typically being onshore here, Wild Cow Run is one of the safer kiteboarding beaches on Middle Caicos. If you do venture out to this remote beach, be sure to bring plenty of drinking water in case you run into car problems. 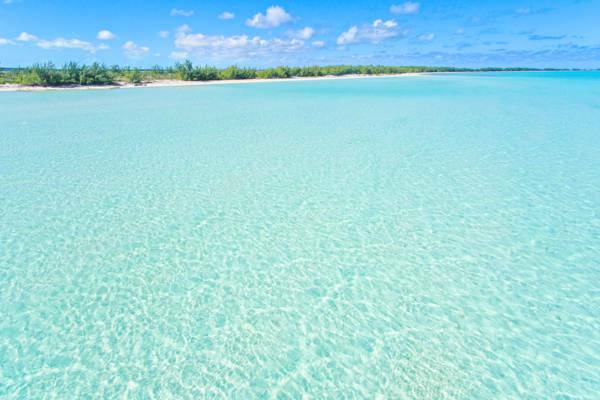 The shallows, channels, and cays to the east of this area, including Dickish Cay and Joe Grant Cay, offer some of the best kite spots in the Caribbean. Sand bars, shallows and incredible clear water continues for miles. You’ll also likely spot sea animals such as turtles, stingrays and nurse sharks cruising about in this beautiful environment. The rarely-visited east coast of Middle Caicos offers fascinating beachcombing, with treasures ranging from sea shells, messages in bottles, fishing floats of every possible type, and intricate drift wood. The casuarina trees in the area drop dense ground cover of needles, which make exploring above the high tide dune line easy. Aerial view of Cedar Point and Wild Cow Run on Middle Caicos. Access to Wild Cow Run is unfortunately limited. An unpaved road leads northeast from just before Lorimer Village on Middle Caicos (you’ll pass Haulover Plantation on your left) to the Haulover Point area and a four way junction around a small triangular island of brush. As you approach this triangle, you’ll want to keep right and take the first right. At this point you should be on the 4.3 mile (7km) stretch of road that leads to both the Wild Cow Run and Cedar Point beaches. As you continue down this unpaved road, some rough and overgrown bulldozed tracks (500 to 1000 feet long) to the beach can be found at intervals on your left. If you continue driving, you arrive at Cedar Point (where the road terminates). The remainder of the route after passing the settlement of Lorimers is unpaved, yet road surface conditions are traversable by any rental car if taken at a slow pace. However, even with this consideration, we believe that most visitors will be best served with a jeep or SUV 4x4.